I have so many cakes that I need to post , owls and race cars and even a snowflake covered wedding cake. But this Tae kwon do cake is the most recent. My neighbor and her family are some of my best customers. 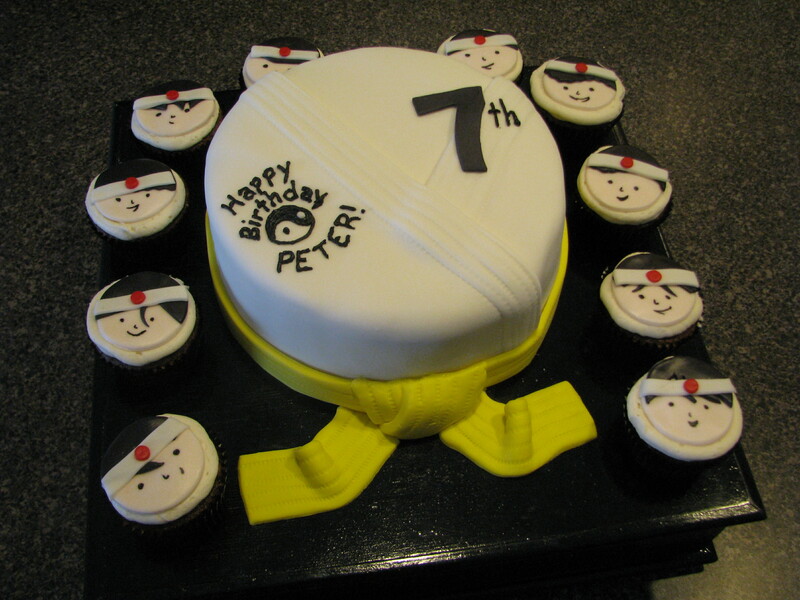 This cake was for Peter, an awesome yellow belt, for his birthday party at the Tae Kwon Do studio he attends. Devil’s food with vanilla buttercream and mm fondant. 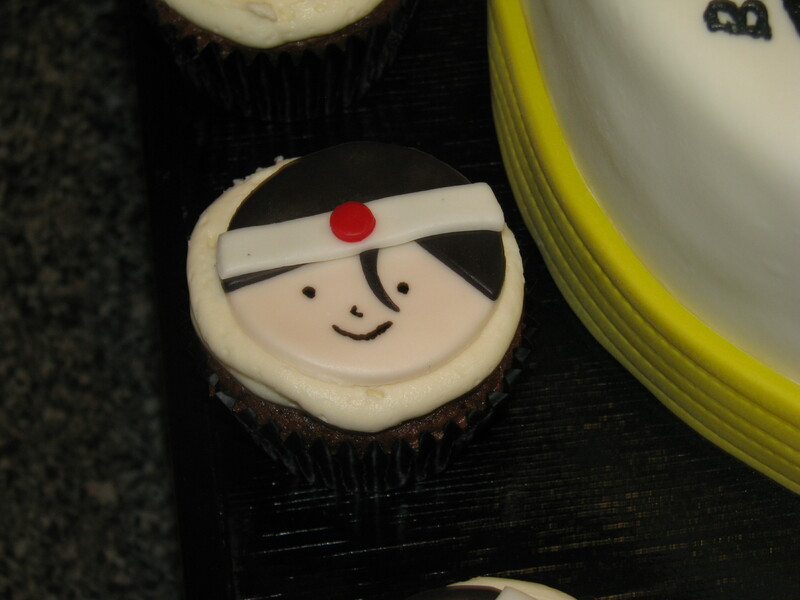 I made 25 of these little ninja cuppies. I should have taken pictures of the process but it was midnight and i didn’t think of it til I was done. Would anyone be interested in a little tutorial on how I made them?